I’ve had a lot of people asking me for a better idea on times for all of this weekends action. Here’s what we’re looking at, plan your weekend accordingly! Looking forward to seeing everyone at the Prudential Center on Saturday. All of the following will take place at Live at The Prudential Center in New Jersey. 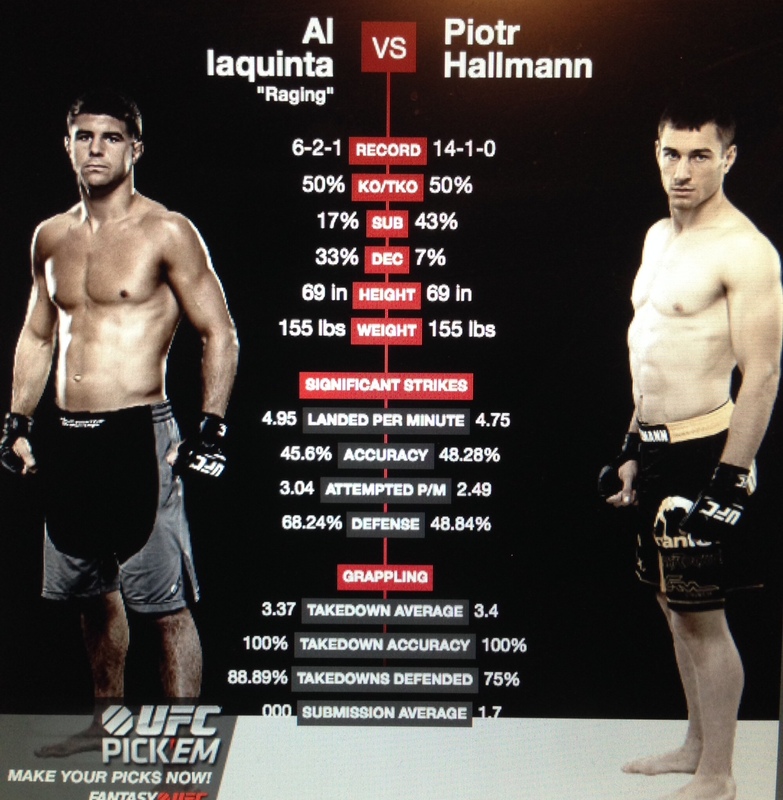 This Saturday afternoon Al Iaquinta will take on Poland’s Piotr Hallmann at UFC Fight Night. The fight will be the final fight on Saturday’s Facebook Preliminary card. Prelim fights start at 12 noon and can be seen on Facebook as well as The UFC TV app. 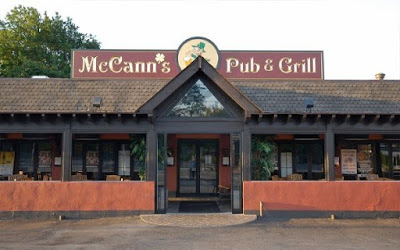 Just a reminder that McCann’s Pub and Grill in Massapequa New York will be hosting a viewing party for the fight. Hey everyone. 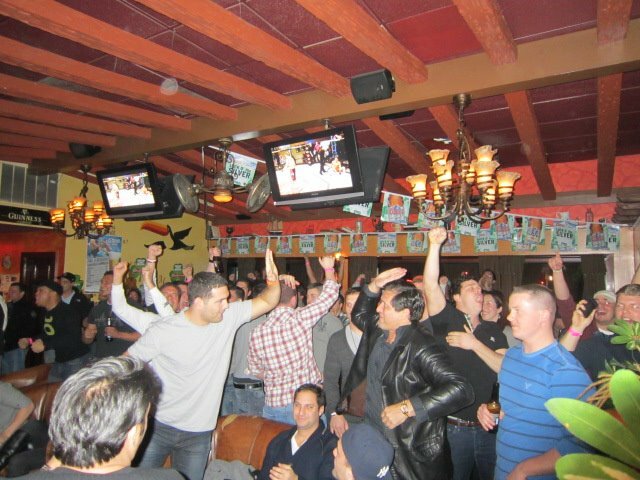 Get excited it’s officially fight week. I know you’re all looking forward to the fight Saturday afternoon. We’ll have a full week of interviews, fight preview’s, and lots of first hand feedback from Al from England. Al leave’s tomorrow so keep an eye out here as well as his Twitter for everything leading up to the fight. Weigh In for the fight will be on Friday, I’ll keep everyone posted on a time and website to watch the weigh in. 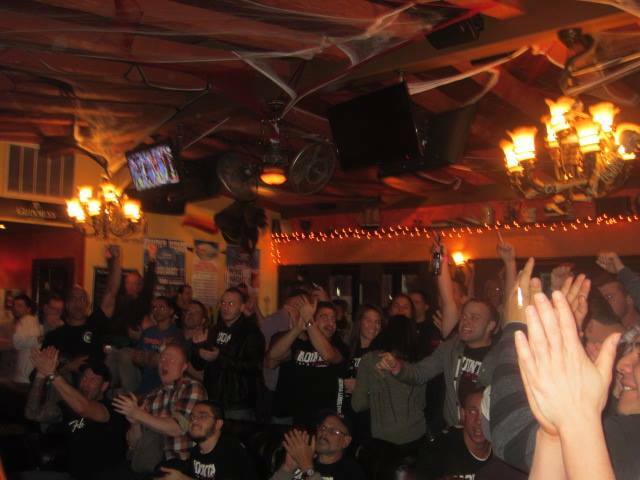 Most importantly as I mentioned last week we’ll be having a viewing party and open bar for the fight at McCann’s Pub and Grill in Massapequa NY. Here’s a link to the Facebook event for more details. Please spread the word we’re looking forward to getting a great crowd down there for what will be a really fun Saturday afternoon. Again any questions please don’t hesitate to ask at MattPellicane@gmail.com I look forward to seeing everyone come down and support Al on Saturday. 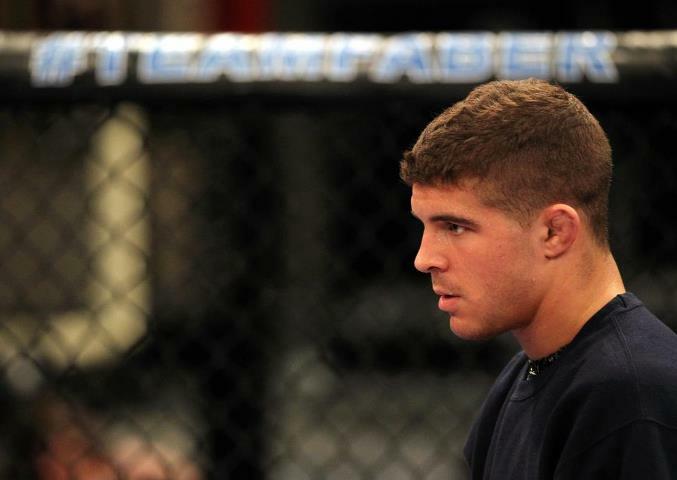 Finally if anyone needs to purchase an Iaquinta Nation T-Shirt please let me know. Limited sizes available.